Who hasn’t heard of SharePoint? Since I first started working with it around 2001 it has become the hammer answer for every nail problem. As a product it has grown and evolved over the years and hopefully most of us how learned how best to apply it. This month Michael Blumenthal will address the issues around when to use and when not to use SharePoint 2013 and well as what the latest features are. Be sure to come and join us and bring your questions about the product and implementing it in your environment. Amongst all the rain and cold weather this spring in the Chicago area we continue to try to bring great software architecture focused content to you. The weather is starting to get warmer so I want to thank those who came out to join us. 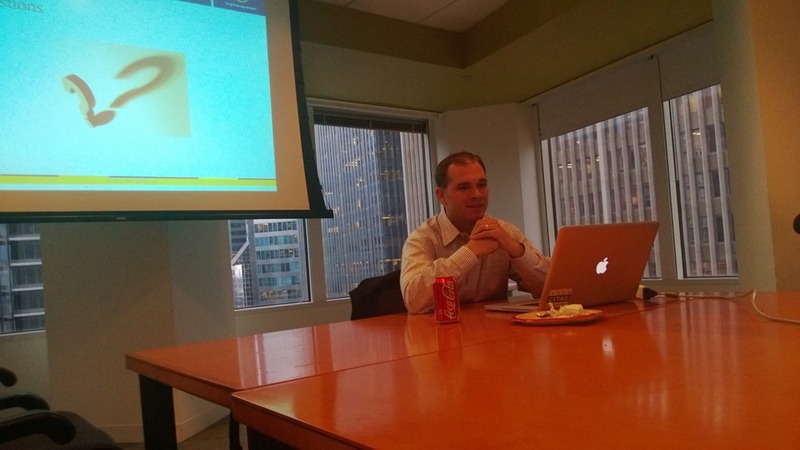 This month Norman Murrin has returned and this time he was covering Django CMS. While the concept of a CMS is common Django isn’t necessarily a platform that people are familiar with which gave this topic an appeal of novelty. Norm was able to give real life examples from current projects which gave the subject more substance. While I don’t see myself using Django any time soon I definitely came away with a new appreciation of its capabilities. Next month we are looking at a possible presentation on SharePoint 2013. Stay tuned here for updates soon. Visual mock-up tools are a great benefit when starting a project so that you can work with a client to understand their needs and begin the design process. Many of these tools are expensive and/or complex to use. 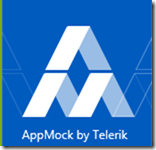 Telerik has made AppMock available for free for designing Windows 8 modern style applications. This is where I ran into my first problem with the app. The free aspect is misleading. It is free for you to layout your interface, but if you want to save it for later it will cost you $2.99. I would have much rather have had it stated in the store that this was a try/buy model than having you get into using the app only to find out that there was a cost associated with what seems like a basic feature. The overall interface is easy to use. It is basically a drag and drop UI with a number of controls, shapes and ways to make notes about usage. The control set is complete enough for basic development. I did find a couple of things that I would like improved. If there was an easy way to change the buttons on the app bar control or at the very least an easy way to edit the background and line colors of shapes it would go a long way to showing customers complete concepts. One strange thing I ran into was with the zoom feature but it is related specifically to how I have my environment setup. I am using a laptop with a Windows 8 mouse that allows gesturing. I found that sometimes I would accidentally activate the scroll zooming functionality of the app and had no way to get it back to the original state easily. While this is aggravating I was able to get around it by simply using my touchpad for this app. In the end I think that this app has a lot of promise. It has most of the features that I think people would appreciate when doing basic app design with the few exceptions that I noted above. The great thing is that since this is a Windows 8 app Telerik can easily update the app at any time and make it even better. 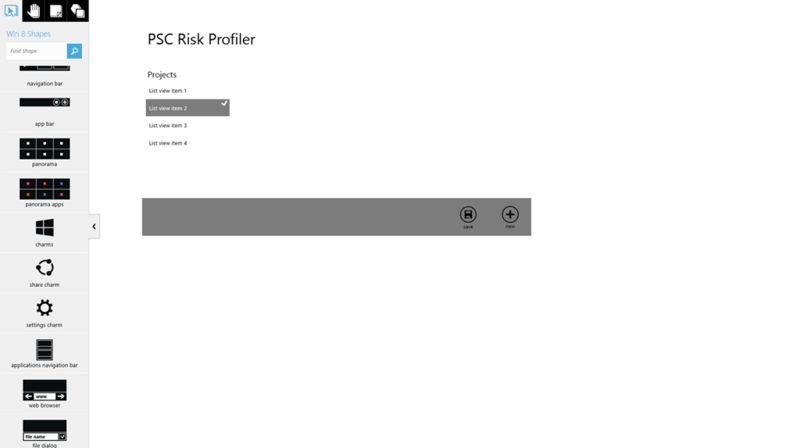 I would say that if you are starting to develop Windows 8 apps you should definitely give AppMock a try. Editing images can be a tedious task, especially depending on how far from what your eye saw the image comes out of the camera. There are thousands of photo editing applications out there so it is a delight when you find one that works well and makes the process simple. I believe that fotor fits that description. 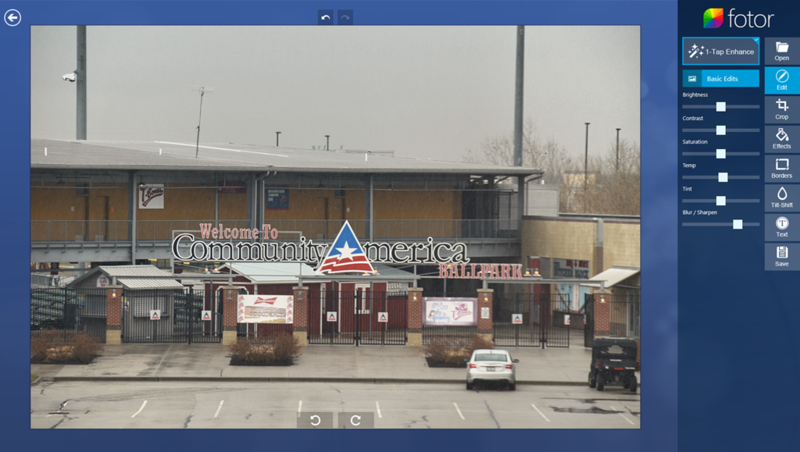 I found that fotor makes most simple adjustments such as brightness, contrast, sharpness, color temperature and cropping. It also has the added features of special effects such as borders, tilt-shift and a wide array of effects. The only features that I found lacking were the ability to type in values for the sliders to save time and a levels adjustment. On my nice-to-have list I also have thresholds and gradient tools, but that is getting more on the advanced side of editing. Overall fotor is extremely capable and easy to use. If you are running Windows 8 RT or Pro I suggest giving it a try. The train keeps rolling. We have made it to spring. Baseball opening day has come and gone and we are starting to get into the heart of conference season in the IT community. Here at the Chicago IT Architects Group we are continuing to roll on as well. This month Norman Murrin of PSC Group is back to present Django CMS and how it can be used to implement flexible and dynamic web sites. Be sure to sign up and join us.